A great play on the infamous Nick Drake “Bryter Layter” cover, Akuma No Uta or “The Devil’s Song” is the fith album by Boris. 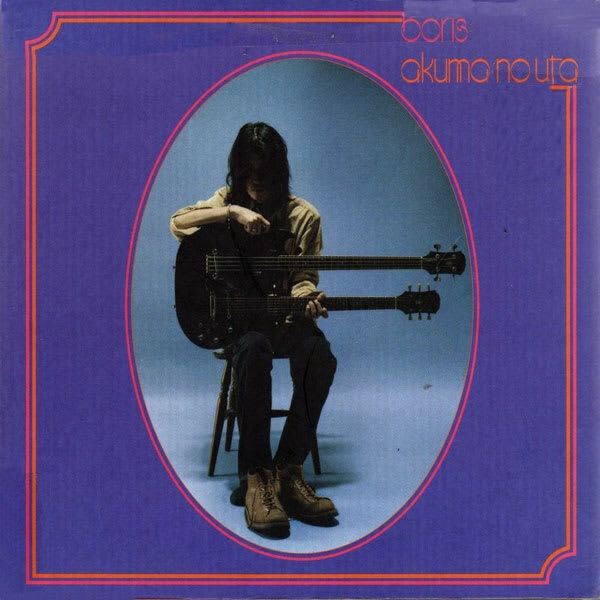 The most notable difference between the covers is the obvious change from Nick Drake’s acoustic 6 string to Takeshi’s double–neck Ibanez. I am not entirely sure who shot this photo, but I am assuming it comes directly from the Boris camp.